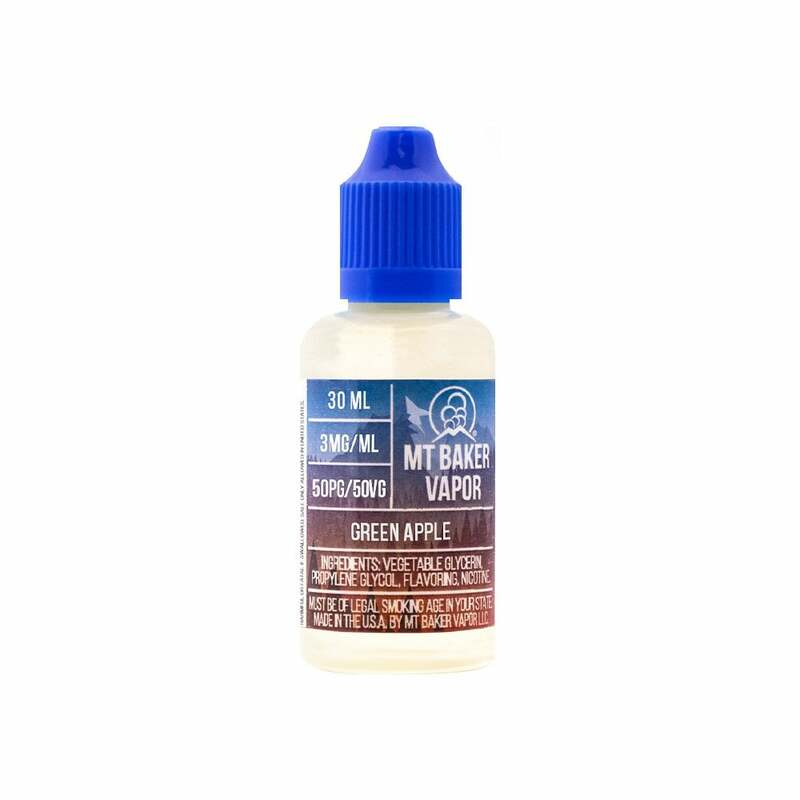 Green Apple vape juice by Mt Baker Vapor perfectly captures the refreshing taste of sweet and crisp green apples. This robust flavor is good to vape all day long! Great flavor. Flavor is consistent and smooth. This is absolutely disgusting. PLEASE do not waste your money. The taste is vaguely leaning to an apple but is literally putrid. Ruined a new pod, I threw it out, could not get the flavor out even with a straight menthol fill. There is nothing more to say other than this is an absolutely disgusting vape juice and waste of money. The taste will stay in your mouth for hours, horrible. I have other flavors from Mt Baker and am very happy (Spearmint & Blue Ice). It’s pretty terrible. It kinda tastes like the slimy ick that develops on the outside of jolly ranchers when they get super old (not at all in the carmelized sugar good way you might be thinking). It’s good, but super nasty at the same time. Like others said, kinda chemically. Way too sweet for green apple. Pretty good flavor and i have tried green apple from several different makers. Flavor is OK but has a slight chemical after taste. A little too sweet for green apple in my opinion. Not sure if it was a bad batch or what but it just barely tastes like apple. It has a very strong chemical odor to it, almost like nail polish remover. Couldn't even finish a tank of the stuff. I think it must have been a bad batch as there are so many good reviews for it. Very refreshing, sweet and smooth. This juice vapes fast. It was a good green apple flavor. more sweet than tart. which I liked. Good value.